50 years ago this month a seismic shift occurred that altered the course of pop music history. An unusual sounding single by a new LA band, The Byrds, commandeered the pop charts in June of 1965, elbowing out hits like "Help Me Rhonda," "Wooly Booly," and "I Can't Help Myself" for the top spot. The song, “Mr. 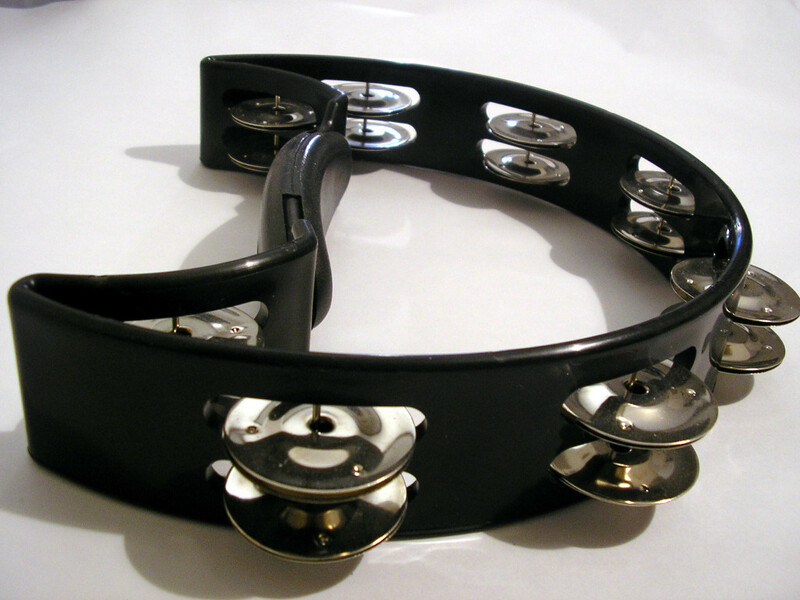 Tambourine Man,” was written by singer/songwriter Bob Dylan—already a folk music star but unknown to most pop music fans. At the time, the surrealistic lyric of the song in combination with the jangly guitar sound of the band—highlighted by an electric 12-string—made it one of the most original sounding records EVER. By early summer the single had caught fire like few other recordings of the era, stayed on the Billboard charts for 13 weeks, and earned rave reviews from music critics—and even accolades from The Beatles, who 16 months earlier had rescued rock music from oblivion. The song was a game-changer because it introduced to pop listeners a quality of lyrical poetry previously unheard on Top 40 radio, delivered with an alluring melody, celestial harmonies, a densely-arpeggiated electric guitar sound, and a solid back beat. To my mind, the triumph of this record marks the date that rock music grew up—after which the lyrics began to say something and the music gained the sophistication to powerfully communicate them. Many who were caught off guard by the song went scrambling to hear what else this Dylan guy wrote and got exposed to the treasure trove of his early folk albums. Dylan himself, recognizing the possibilities that rock music arrangements could now offer his songs, released his iconic “Like a Rolling Stone” a month later (with solid rock accompaniment) and the folk-rock boom was officially underway. The Beatles, creative sponges that they were, released their first folk-inspired album, Rubber Soul, later that fall, featuring their most creative and meaningful lyrics to date. And now to the business angle (there always is one): even Columbia Records didn’t quite know what to do with this record once the Byrds recorded it, given how outlandishly different it sounded from everything else on the airwaves that spring. It was not a dull time for AM radio—with the British Invasion offering a fresh take on rock & roll and Motown cranking out its catchiest tracks ever—but this song, reflecting the hyper-literacy of Dylan’s approach, was revolutionary stuff. Once the Byrds’ single was released, the public also didn’t quite know what to make of it. (The first response to something as different as MTM is often WTF.) But the song did get the attention of radio program directors and deejays, some of whom recognized it as a singularity in pop music history. And after the Byrds hit the road to promote it—opening for the Rolling Stones on a West Coast tour, performing the song on NBC’s Hullabaloo, and personally shopping it to radio deejays—local LA stations put the song in heavy rotation. #1: Different isn’t always better, but better is always different. If you don't stand out from the pack with what you're offering you're at an acute disadvantage in this economy. Even more true today—given global competition—than fifty years ago. #2: You need to personally market the hell out of your product. The Byrds didn't rely just on their record label to promote MTM. They took it upon themselves to make it happen—person to person, gig to gig. So how did MTM change the future of rock? Well, the success of the Byrds' electric version of it (and their subsequent successes with other Dylan tunes) played a major role in bringing Dylan into the forefront of rock. The band not only marketed Dylan to a mainstream audience by blasting his song to the top of the charts; they also convinced Dylan himself that he had a future in rock. And he quickly took full advantage of it with a rock release ("Like a Rolling Stone") and a rock tour. Through Dylan's influence, rock and pop songwriters soon began taking their lyrics more seriously. Recording artists—from The Beatles (especially John Lennon) to the Stones to the Kinks to the Who to the Loving Spoonful to Simon & Garfunkel and more—wasted no time in giving themselves poetic license, that is to say, a license for poetry. Even Motown songs began to reflect the new direction in song lyrics. Two decades later you could hear it in the beginning of hip hop. Such was Dylan's reach. A footnote for the rock historian/archivist/aficionado: the Byrds, in order to fit the track into the typical two-and-a-half-minute AM radio format, left out three of the original four verses of “Mr. Tambourine Man” including the final verse, which is arguably the most dazzling and sublime lyric Dylan has ever composed—beginning with the line, “Take me disappearing through the smoke rings of my mind.” But those who went searching for Bob Dylan’s original version of the song got to hear the song in its full glory. (Check it out here.) In the intervening 50 years, there has never been a song like it. By the way, if you have a different Bob Dylan lyric—besides the fourth verse of "Mr. Tambourine Man"—that you’d nominate as his best, I’d love to hear it on the comment thread that follows. Don’t include more than a line from it though or the copyright trolls will be sucking my blood. The "one hand waving free" line is hard to top. So I made it back to the ship" which only works in context. Is there a more expressive image of being lost and alone than "twenty miles out of town, in cold irons bound" ? And on my shortlist of greatest emotional connections of all time, thanks to the first person I was married to, "I give her my heart but she wanted my soul"
Biz stuff: different isn't always better, but better is always different. Yes, oh yes. Incremental change means nothing. Faster horses? That dog won't hunt. Yeah, there's great stuff all through Bringing It All Back Home. I think Blonde on Blonde is my favorite of his albums though. Dylan was certainly his own man. He moved folk music away from cookie-cutter protest songs, and infused it with brilliantly deep poetry and a bit of electric horsepower. However, in strictly musical terms, not so much was happening there. I would even argue a period of melodic retro-grade followed, as he seems to have a rather shallow understanding of tonal relationships. His "band" could always make up for a lot of that. While Country-Rock developed and flourished with the prominence of more musically diverse artists, like The Byrds and The Band, I believe the next 3 summers were also more revealing and interesting to the development and ultimate direction of Rock & Roll, or Hard Rock than '66. Plenty of inspiration can be attributed to Dylan for that, too. Dylan never had the harmonic palette of a Lennon-McCartney or Brian Wilson of course. And his melodies came from the traditional folk archive for the most part. But what he did with that still amazes me. And he could marry a lyric to a melody brilliantly as MTM attests (as does My Back Pages). But my main point is that he changed the arc of history with his song poetry. Interesting to contrast summers 66, 67, and 68 with the summer of 65. I think summer 65 had great singles — some of the best singles of the decade. But I underestimated summer 67. And now I'm thinking summer 66 had the best albums: Pet Sounds, Blonde on Blonde, Yesterday & Today, and Revolver (a game changer for albums). Summer 67 had great albums too (Sgt Pepper, Flowers, Are You Experienced?) plus great singles. Summer 68 had Music From the Big Pink, Wheels of Fire, Last Time Around (Buffalo Springfield) plus more good singles. And, yeah, Dylan's influence can be heard in most of them. 'bringing it all back home' is a monster of an album with plenty of great verses but 'visions of johanna' on 'blonde on blonde' is my favorite. 'the ghost of electricity howls in the bones of her face' is among his best lines. Blonde on Blonde as an album is the top of the mountain for Dylan, IMHO. I first heard Blonde on Blonde all the way through . . . let me see . . . I knew the songs that made the greatest hits album. None of the rest. Finally stumbled on a live version of SioMwtMBA, got addicted, and tracked down the original. Missed out on having all those songs in my life for 40 years. Now I worry there are more brilliant albums everyone else has been listening to for 50 years, but not me. Where the hell did 50 years go?? This was the start of a great time! Great recording, too bad The Wrecking Crew couldn;t be credited until recently!! Even back then as now, lesson learned: DON'T rely on your record company to promote your stuff, get out there and promote your own stuff, with merch backup!! Have a great day John!! Yeah, there was a long debate about who played bass on MTM. Both Carol Kaye and Larry Knechtel claimed it for years. But Kaye eventually realized her memory was playing tricks on her — as can happen when you've played on a billion recording sessions. Thanks for an informative article, John. I did not know all that about MTM, but I certainly remember being moved by the last verse as I listen to it back then in Indianapolis, Indiana. I've been following Dylan ever since. And "Red River Girl" is perhaps my current favorite whole song. You mean "The Girl From the Red River Shore"? That's a great one. That was an inspired piece, John - great writing! My favourite Dylan line: "I was so much older then, I'm younger than that now." BTW, one of The Byrds was Gene Clarke and he recorded a piano-driven version of 'Mr. Tambourine Man' on his 'Fire Byrd' album. The arrangement is a bit clunky but his singing is really good and it's well worth checking out. Clarke had serious drug and alcohol issues that apparently made him very difficult to get along with and which eventually killed him (although by most accounts he was the sweetest guy on earth, when sober) but he made two stone-cold classic albums: "No Other" and "White Light" that have to be heard. I LOVED Gene Clark—who is written about in Hotel California (a book I've promoted so much I should get a royalty stake). I was excited to learn recently that Clark doubled McGuinn's lead vocal in the choruses in Tambourine Man. (What OTHER website offers such luminescent information on rock history?) I've always loved Clark's tune, "Set You Free This Time." https://www.youtube.com/watch?v=EDxQaa9XUUw&list=RDEDxQaa9XUUw#t=55 Hey, I searched iTunes for Clark's version of MTM but no luck. Any suggestions on where I'd find it? What an interesting assortment of characters the original Byrds were, including the irrepressible David Crosby, who sang angelic harmonies on their great early hits. The later Byrds' lineups had some truly great musicians in the band (I got to jam once with the '74 or '75 version) but the original five were magical. Too bad Gene Clark and drummer Mike Clarke are no longer with us. For me, "Every Grain of Sand" is the song. The album is "Street Legal". The line is hard to pin down. I'm such a Bob junkie that my family finally had to tell me to talk about something else for a while. I still do walk down the street, hear people talk, and figure out which Bob song that line was from. Yes, you probably need to see a Dylan deprogrammer. And I'm sure there are 12-step programs that can help. Hey, "Every Grain of Sand" is another good one.